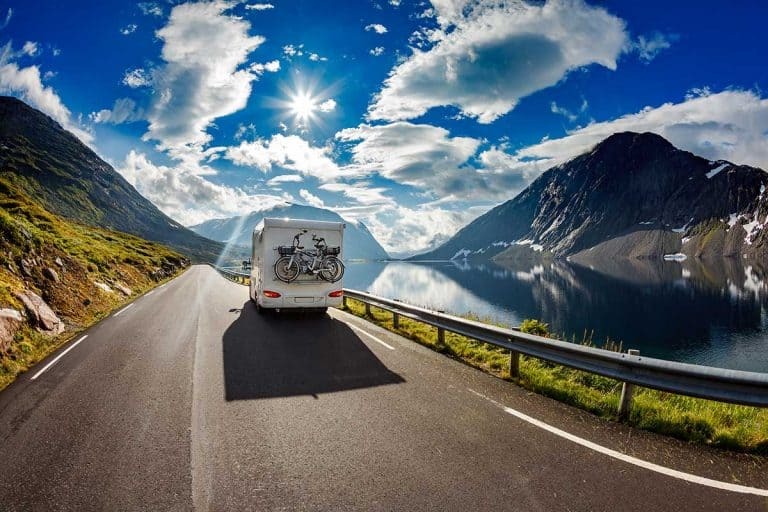 Finding a place for all your things in an RV is virtually impossible. 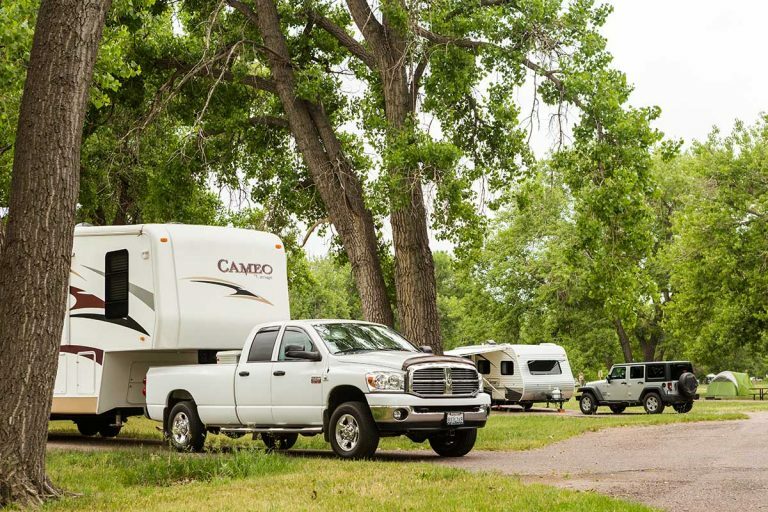 It doesn’t matter how big your RV might be; it still feels like there isn’t enough space for everything. But after a significant amount for research, I found some tips that’ll help find a space for everything you need. A little confused by how some of these tips will help? Well, I’ll discuss each one in further detail and explain why they’re so helpful later on in this post. So please, keep reading and let me make packing up your RV a less frustrating experience! 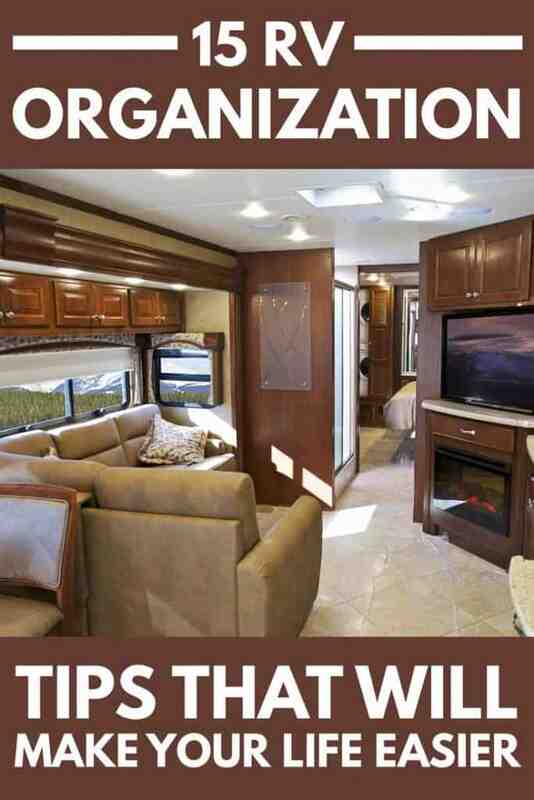 An organized RV is every RV owner’s dream. I mean, how many times have you found yourself entirely perplexed that you can’t find anything inside your RV? Wouldn’t it be nice to know where everything is at all times? 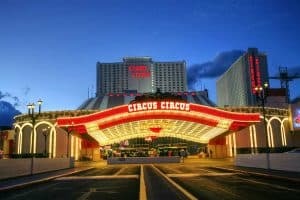 With the following tips, this dream could become a reality. And they’ll even help you use your RV’s storage to its fullest capabilities. So, let’s get this discussion started! These wonderful devices are both incredibly convenient and save you a ton of cabinet space. It’ll make sure you won’t have to waste valuable storage on something as rudimentary as paper plates. You can instead buy this product and have a stash of them always at the ready for your next barbecue. And with it installed, you now are free to use your valuable cabinet space for something truly essential. Are you like me and always find yourself losing the remote? Well, there’s a simple solution to stop this from being a regular part of your life: velcroing them to a nearby chair or table using velcro strips. Your velcroed remotes will give you peace of mind by reducing the chances frustration interferes with your relaxing RV trip. It’ll also save you valuable table space where you could place other items such as magazines or candles. A regular trash bin or trash can will take up a lot of space inside your RV. And since you have rather limited storage capabilities, an over-the-door or door-mounted trash can would be a good investment. 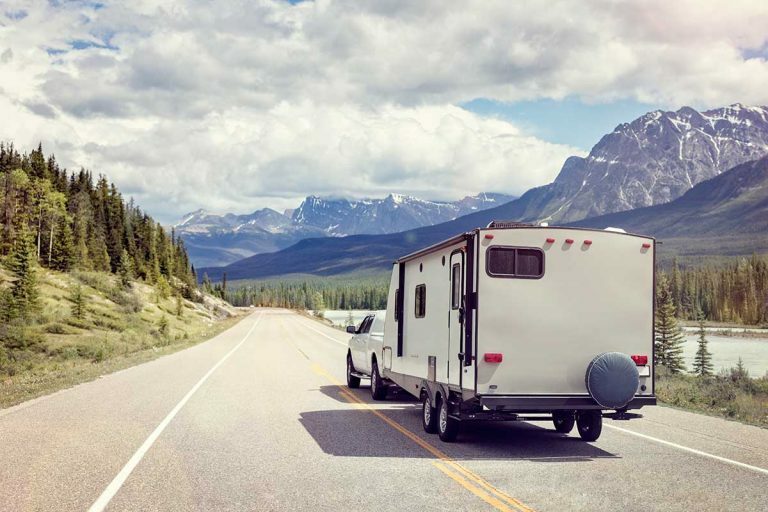 These products will hang on your cabinet’s door rather than taking up space where you could store something else; you could also leave the area empty that way your RV feels less claustrophobic. But the main point here is your trash can will no longer be storage stealing nightmare. Using storage bins inside your cabinets, shelves, and cupboards will keep your entire RV organized and clean. You can even label them to ensure you know exactly where everything is at all times. It also helps that these storage bins keep your valuables contained and away from anything that could contaminate it. You never know when a wild critter might want to join your RVing festivities and cause a raucous. Are you tired of having mixing bowls and measuring cups taking up room in your cupboard? An excellent solution to this issue is stackable nesting bowls. These bowls take up a significantly less amount of space because they allow you to stack your measuring devices. Sounds pretty cool, right? It’ll also make sure you always know where your measuring and mixing bowls are because they all be in one place. No more blindly searching around cupboards for right bowl anymore! The inside of your RV’s door is an excellent place for storing items. Whether it be your flip flops, a flashlight, or umbrella this unused part of your RV could be a nice storage area. All you need to do is either install mesh netting on the door or buy a mesh net. Once you get it set up, you’ll have another storage area that keeps certain items from being in your way. 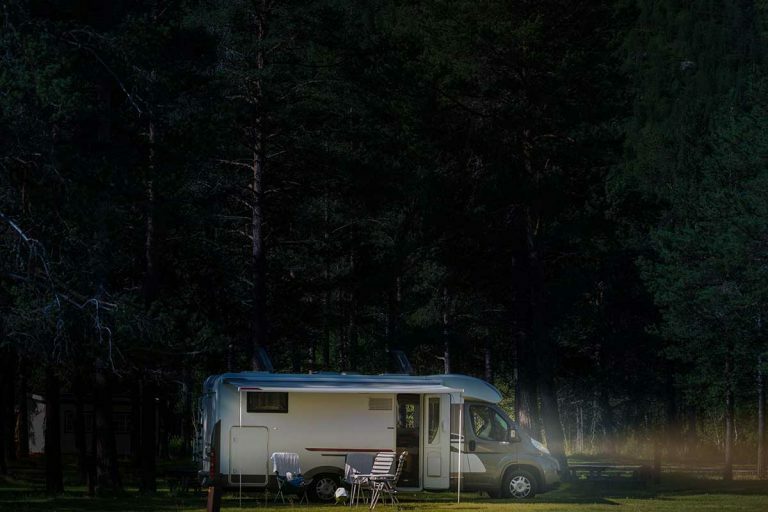 It essentially gives you more freedom of movement and helps your RV feels less cramped. Your RV’s bathroom isn’t a place with a lot of room. It can be quite a hassle to try and fit all the essential bathroom accessories in an area of this size. Setting up spice racks around your bathroom will help make this less of a challenge. These spice racks will easily be able to hold all the things you keep in your bathroom: toothpaste, conditioner, deodorant, etc. I’d recommend getting ones like these spice racks from IKEA as you can paint them to match your bathroom decor. You’re probably saying to yourself what in god’s name is a fruit hammock? It’s what it sounds like: a hammock that holds fruit. And these fruit hammocks can make your RV’s fridge and counters a lot less cluttered. They’ll also allow for your fruit to encounter more air circulation, which reduces the rotting process. As a result, I think getting a couple of these hammocks would be a good idea: installing them under your cabinets would be an even better one. As with the spice racks, suction cup hooks will help keep both the kitchen and bathroom from being overly cluttered. You can hang cooking supplies, utensils and bathroom accessories from these incredibly convenient hooks. It doesn’t have to be bathroom and kitchen things either; you could hang wreaths on them during Christmas or other holiday decorations. And this is just the tip of the iceberg; there are almost an unlimited amount of ways to use these hooks. 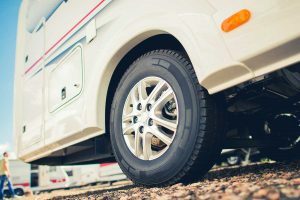 With this in mind, it’s clear that these little products are incredibly handy to have around your RV. Pots and pans are among the most significant space eaters in your RV’s kitchen. Getting them out of your way would make your kitchen much less crowded. A way to accomplish this is by installing a pegboard. This pegboard would be an easy way to arrange your pots and pans in an organized manner. It’ll also allow you to use all the cupboard space that’s currently occupied by these cooking supplies for something else. There’s only one thing that’s harder to store in your RV kitchen than pots and pans: pot lids. These items are weirdly shaped and often cause havoc when you’re blindly searching through your cupboards. You can quickly solve this issue by hanging them on towel rods. Just put a couple of towel rods on the back of a cupboard and hang your pot lids from them. It not only saves you a lot of space but also ensures you’ll never have to hear pot lids crashing around in your cupboard ever again. If you have a lot of unused wall space around your RV, getting some magazine racks could be a worthwhile purchase. With these products, you can store things like DVDs, books, art supplies, flashlights, flip-flops, etc. And these racks come in many different designs, which allow you to choose one that fits your personality. Some even are quite beautiful and could help liven the inside of your RV with their fantastic coloring. Let’s face it; most RV bedrooms are small and congested, which makes the storage space within them limited. Purchasing a product like a nightstand caddy could help alleviate this issue. It’ll hold your headphones, Ipad, TV remote, water, or whatever else you bring to bed. All you have to is install it on the side of your bed, and your life gets much easier. It’ll also reduce the risk of you rolling over on the remote while you’re sleeping. Most RV owners love their coffee and find themselves often throwing out creamer containers. But you shouldn’t because you can repurpose them as food containers. All you need to do is clean it, and you have yourself a quality food storage bin. These new containers will help you save space as their much smaller than your average food packaging. As a result, you help keep the environment cleaner and gain a little storage room in your RV. I’d call that a win-win situation. 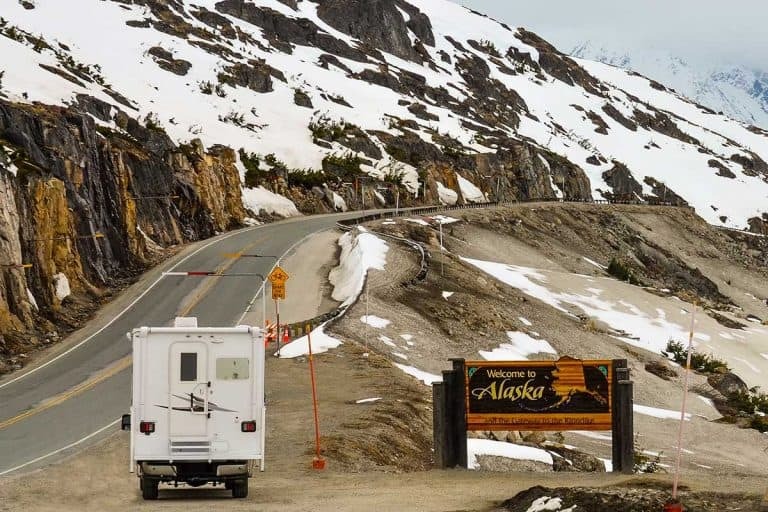 One of the best things you can do to organize your RV is creating a quick drop zone. This zone will be a designated area to place all those little accessories you need for adventures in the outside world: sunglasses, keys, wallets, etc. It could be something as simple as an old shoe box or something you create as a DIY project: it doesn’t matter. But if you have one, your life will immediately become a lot more organized. 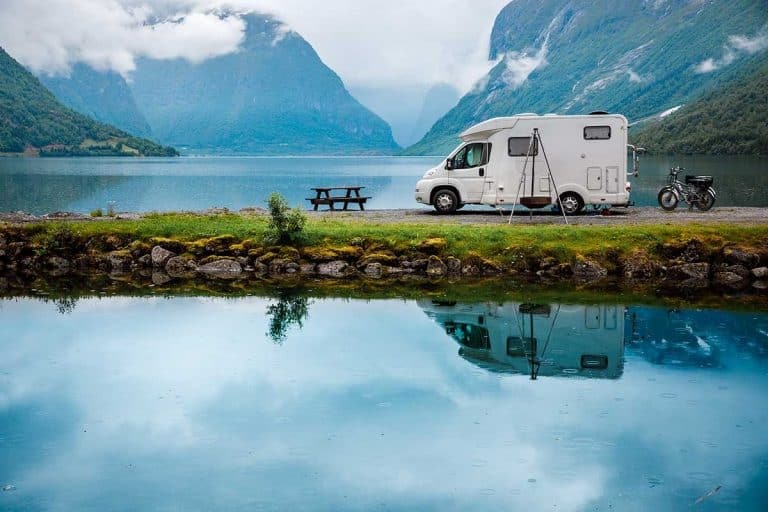 There are the 15 tips that’ll help ensure your RV becomes organized. 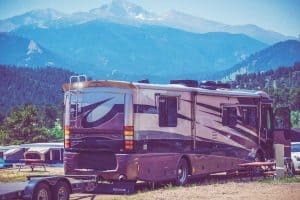 I hope doing these things makes your RVing experience more relaxing. If you have any suggestions of your own, please share them in the comments below: we always appreciate and welcome your feedback! What Does “Full Hookups” Mean in an RV Park?